Don’t miss out on this year’s exciting program! Please join us at the 42nd Annual Letelier-Moffitt Human Rights Awards as IPS honors two outstanding champions of human rights and celebrate the work we do along with our allies to advance justice, peace, and dignity for all. This year’s domestic award recipient is the New Orleans Workers' Center for Racial Justice. NOWCRJ is a multi-racial, member-led grassroots organizing force dedicated to expanding democracy, winning a just economy, and transforming the country by transforming the South. NOWCRJ operates at the intersection of labor, mass incarceration, and immigrant rights, and is the rare organization that brings together a multi-racial constituency to fight on these three fronts. Through this work, NOWCRJ has become a national model of organizing low-income workers of color across racial lines. 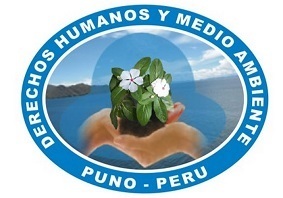 Our international award recipient is Derechos Humanos y Medio Ambiente (DHUMA), a human rights NGO that not only works closely with indigenous communities in the Puno region in the south of Peru, but many of its lawyers and team members are from these same indigenous communities. Through a combination of capacity building, legal support, and advocacy, DHUMA works to defend the rights of the indigenous communities of Puno and in the promotion of social and environmental justice. DHUMA has also played an important role in the successes of the broader regional movement in Puno to promote indigenous culture, autonomy, and self-determination. Among other projects, they have been facilitating spaces for exchange and coordination between traditional indigenous leaders and the community decision making structures that they represent, thereby strengthening these structures in parallel to the state’s local government institutions. This area of their work will continue to be an essential building block in the long-term struggle for the realization of the individual and collective rights of indigenous communities into the future. We ask you to join us for the Letelier Moffitt Awards on October 4th. Stay tuned for upcoming announcements of special guest speakers and performances! Dignity Defender : $10,000 . Admission for 12. Includes recognition as a sponsor in the event program and an event-themed gift. Justice Juggernaut : $5,000 . Admission for 8. Includes recognition as a sponsor in the event program and an event-themed gift. Peace Pioneer : $1,000 . Admission for 6. Includes recognition as a sponsor in the event program and an event-themed gift. Social Change Champion : $500 . Admission for 4. Includes recognition as a sponsor in the event program. Human Rights Revolutionary: $250. Admission for 2. Includes recognition as a sponsor in the event program. ​Truth Trailblazer : $ 75. (Early Bird rate $65 before August 21.) Admission for 1. Official tax receipts will be sent after the event indicating the portion of your sponsorship package that is tax-deductible. For further information on Letelier-Moffitt sponsorships, please contact IPS Development Assistant Violeta Curiel at 202-787-5237 or violeta@ips-dc.org. To ensure recognition in our program materials, please submit sponsorship details by September 14th.